An MP for Bulgarian Prime Minister Boiko Borissov’s GERB party, Zhivko Martinov, who is to face charges of extortion and corruption, is resigning from the National Assembly, parliamentary leader Tsvetan Tsvetanov said on July 25. 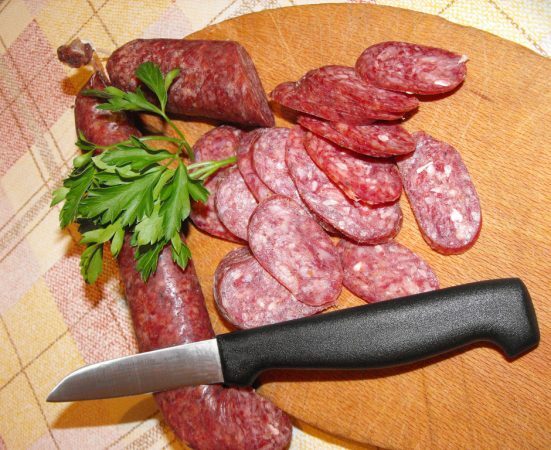 A team of prosecutors was deployed in the north-eastern Bulgarian town on Tuesday as part of an investigation into Martinov who allegedly – among other things – extorted four tons of sudjuk, a spicy dried sausage, from a business person. Martinov, in his second term as an MP from the town, allegedly told the business person that the sudjuk was for Borissov. Prosecutors said earlier that an initial investigation had found that no sudjuk reached Borissov. Martinov also allegedly forced business people to donate furniture and air conditioning to the GERB office in Dobrich. These items, however, ended up in Martinov’s office, not that of the political party. The team of prosecutors, from the anti-corruption division and the national Prosecutor-General’s office, who went to the town were accompanied by armed security because of allegations of illicit pressure being put on witnesses. Also in Dobrich on July 25 was GERB parliamentary leader Tsvetan Tsvetanov, who announced changes to the regional and municipal leadership in Dobrich. Earlier, Borissov ordered the change. Roumyana Arnaudova, spokesperson for the Prosecutor-General’s Office, told journalists in the town that the office was promising protection to people who co-operated with the investigation. Prosecutors involved in the investigation said that people who had co-operated so far had been threatened. Prosecutor-General Sotir Tsatsarov has asked the National Assembly to agree to the removal of the statutory immunity that Martinov has an MP. The investigation into Martinov is in connection with five crimes, including corruption and extortion. Earlier, Tsatsarov said that since 2012, Martinov had been using the name of Borissov to exert pressure to obtain benefits. The Prosecutor-General said that the tip-off about Martinov had been received in April 2017. An investigation began on April 19. On July 27, the State Agency for National Security handed a report to Borissov, who forwarded it to the Prosecutor-General. Martinov denies wrongdoing. He told reporters that “a group of left-wing people” in Dobrich who had been losing elections for the past 11 years “have been writing complaints for months…and have a dislike for me – that’s basically the case”. He said that he had lodged court action against some of these people. Others among them owed him money for rent, according to Martinov. GERB’s website’s biography of Martinov (53) describes him as a qualified engineer and company owner. Amid the dull news days of July 2017, the sudjuk case has given Bulgarians much to joke about on Facebook. The Bulgarian-language media, which appears seldom to understand or care about the nature of the Watergate scandal, affixed the “-gate” – as they tend to do about every scandal du jour – to headline the affair as Sudjukgate.